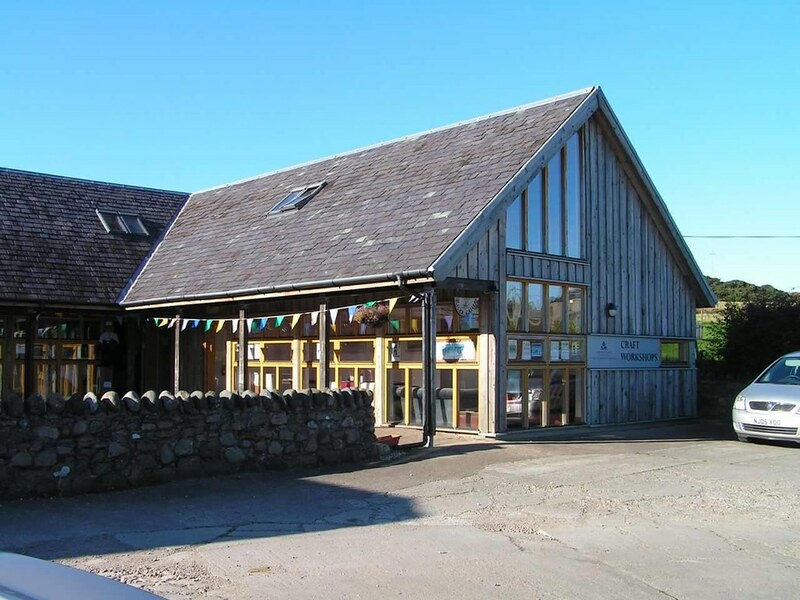 The Gigha Gallery, established in 2006, is situated in Ardminish village and incorporates a craft shop, art gallery and tea room. 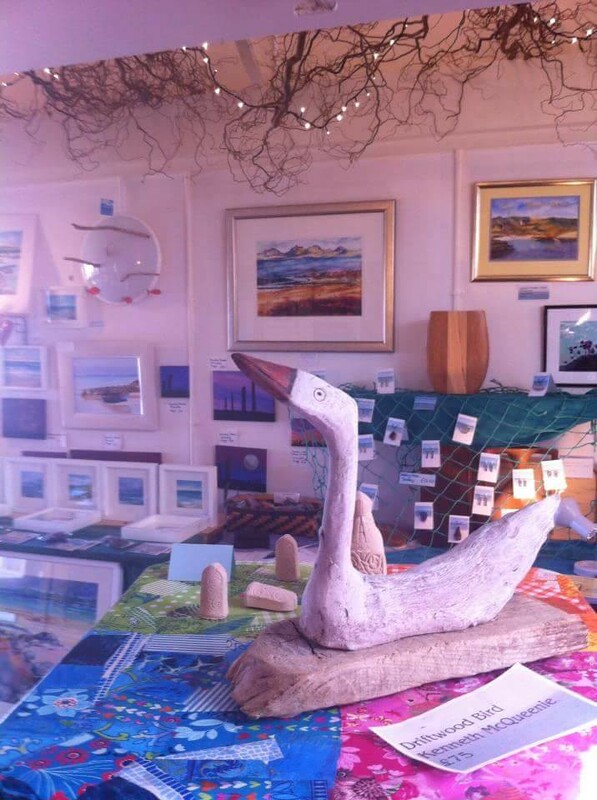 Gigha Crafts showcases a wide range of local crafts including pottery, knitwear, cards and guide books as well as Smashing Glass jewellery that is hand crafted by Henri Macaulay, using sea glass, sea coal and pottery shards. Fiddle and mandolin lessons are available by the half hour, instruments provided. The Gallery has shown over 50 exhibitions - including Jolomo and Erni Upton. Weekend workshops include Stained Glass, Felting and Mosaic. 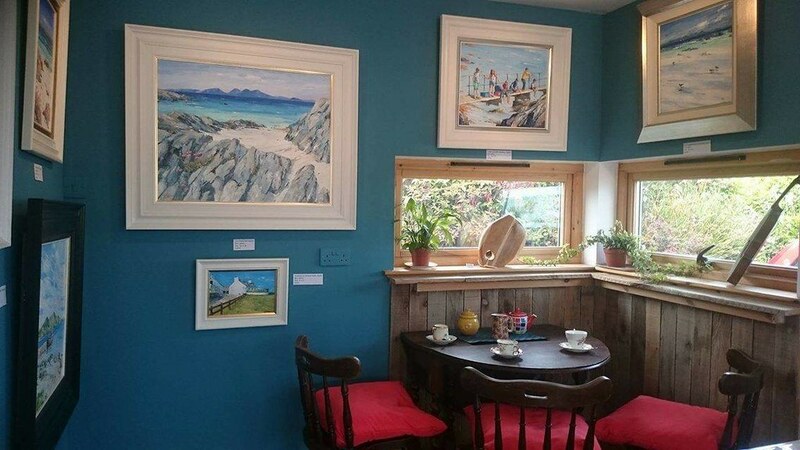 2017 exhibitions include Senja Brendan and Jo Powell. In summer 2017 we are starting Gaelic immersion weeks to cement fluency. All ages/family groups welcome.